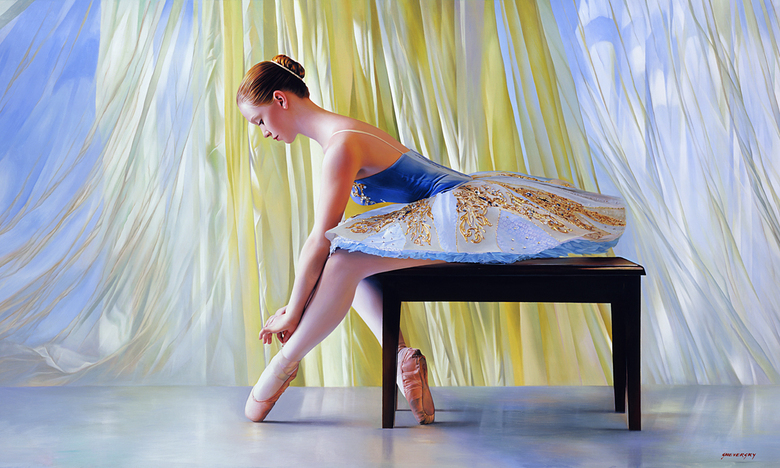 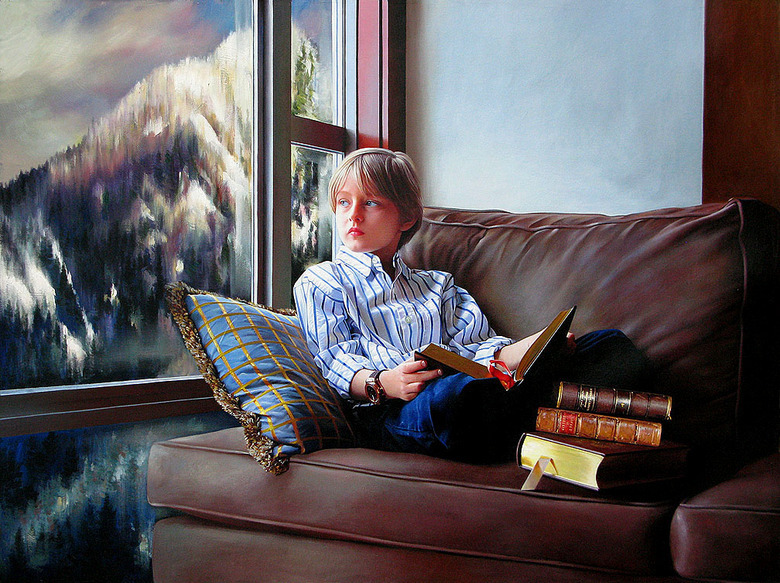 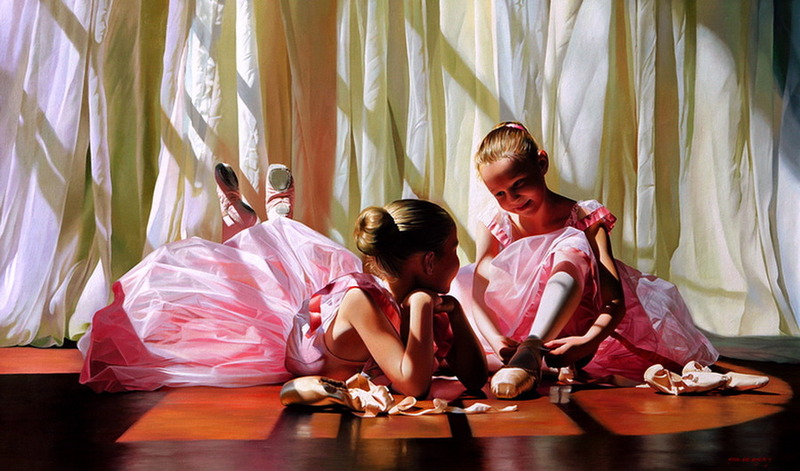 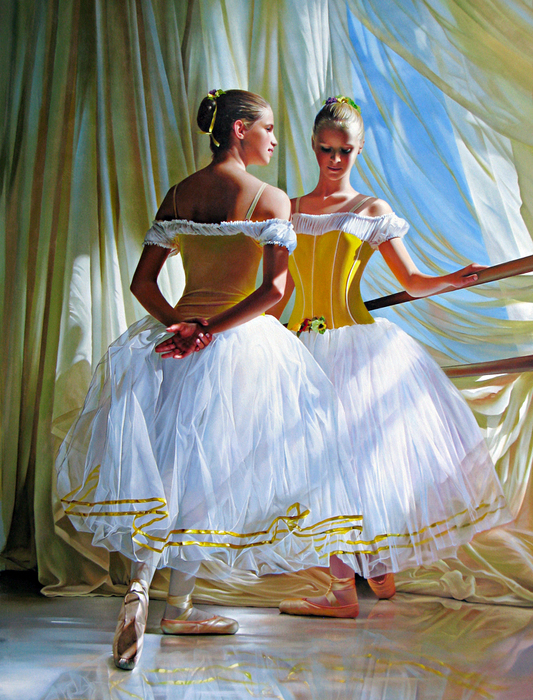 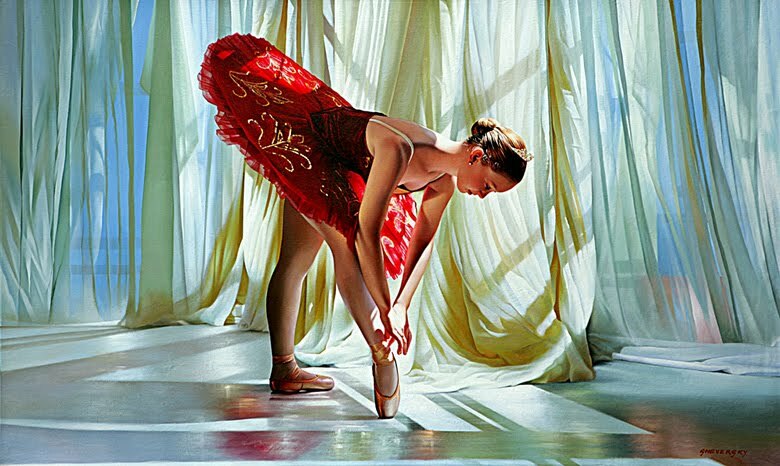 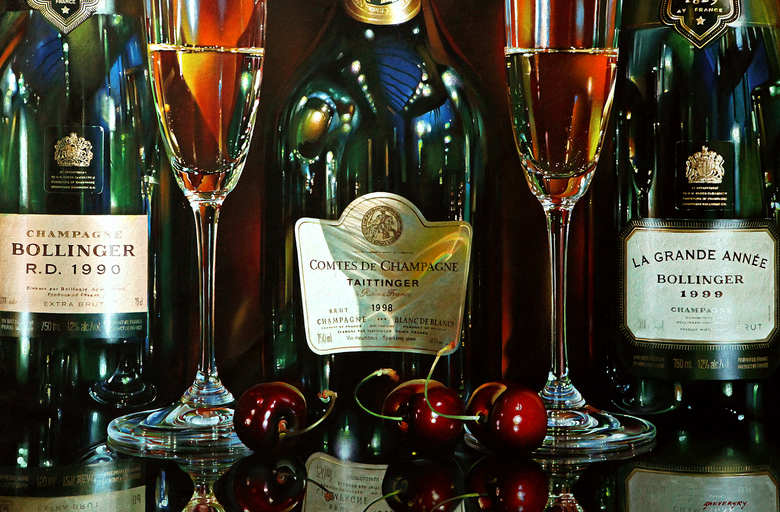 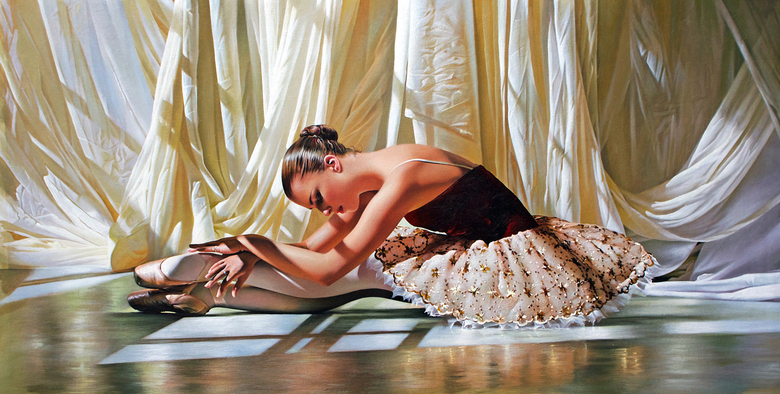 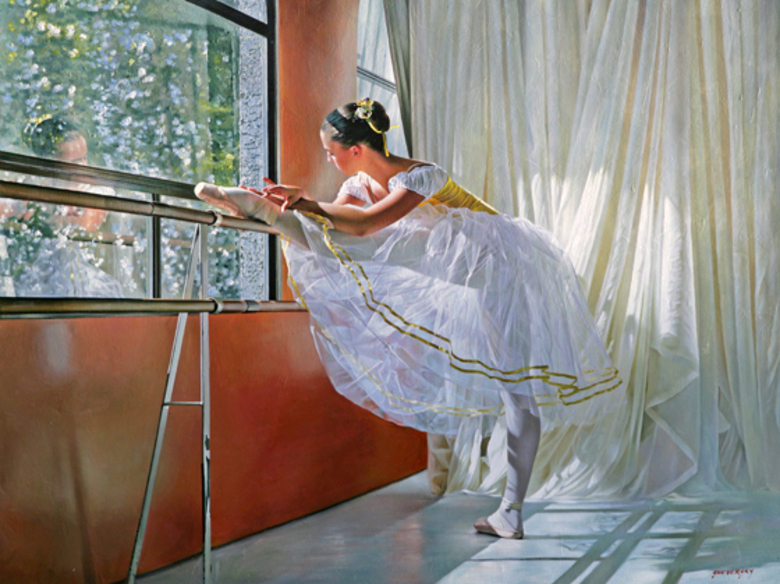 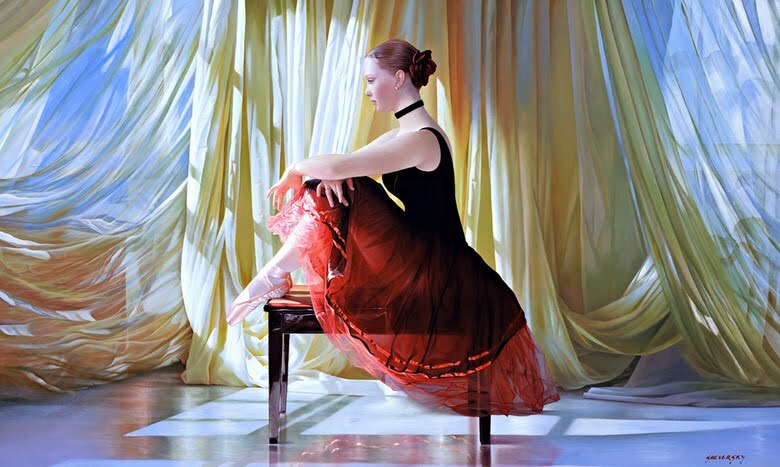 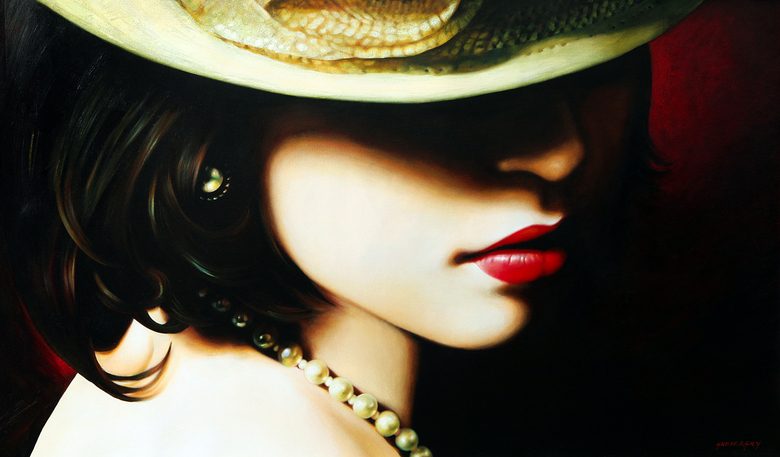 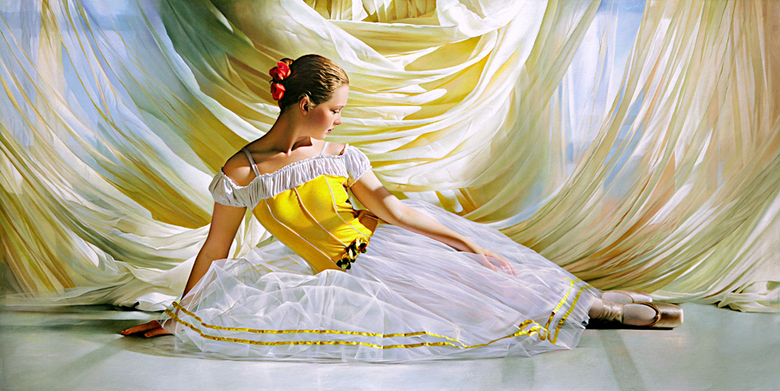 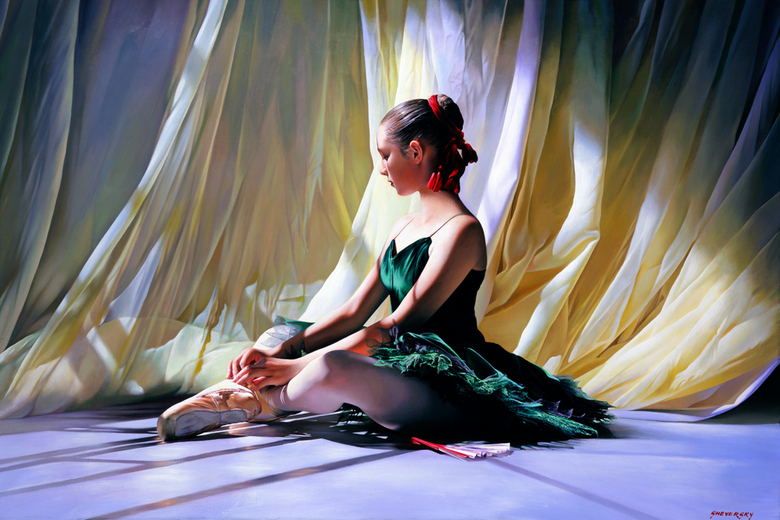 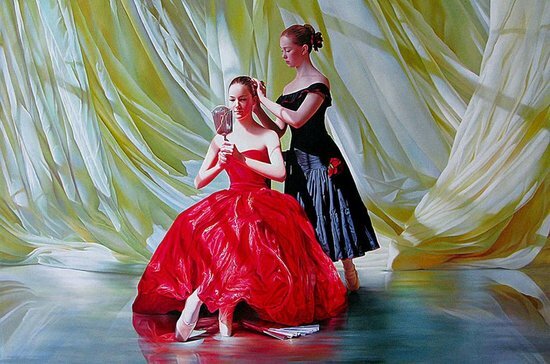 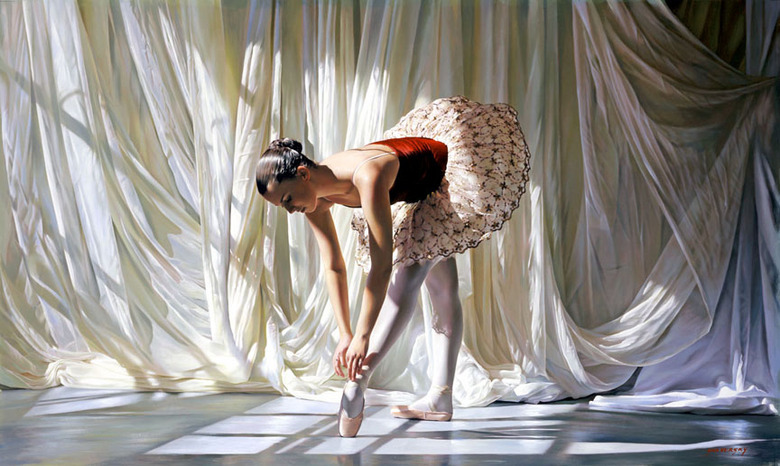 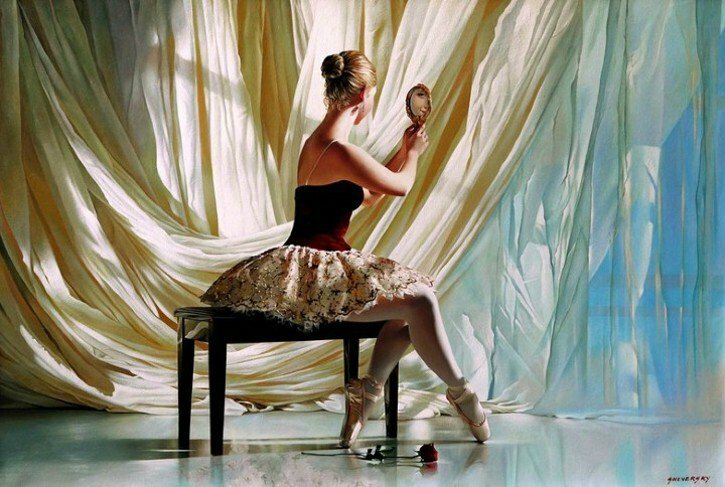 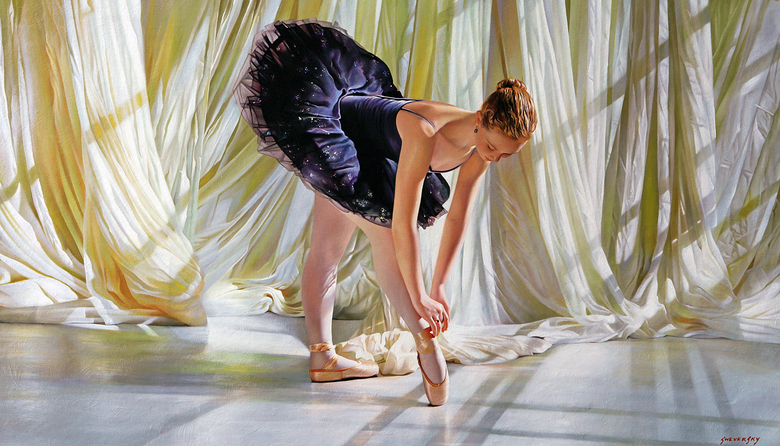 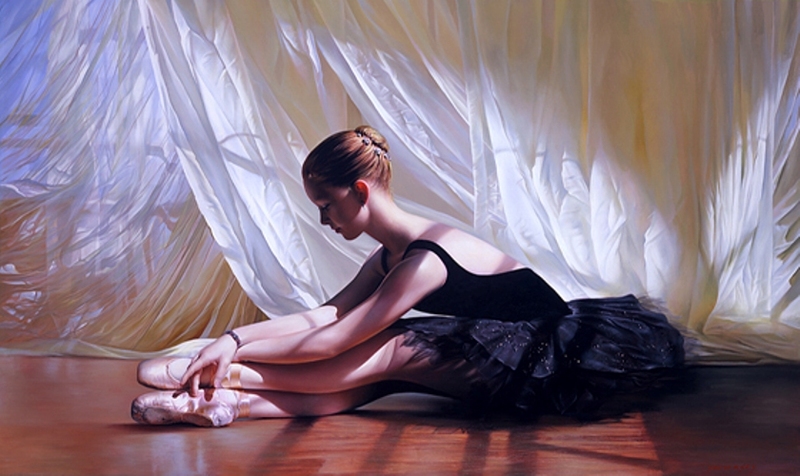 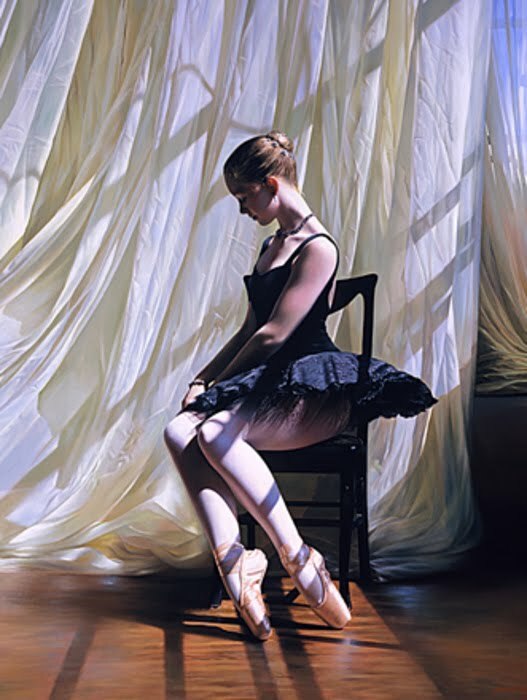 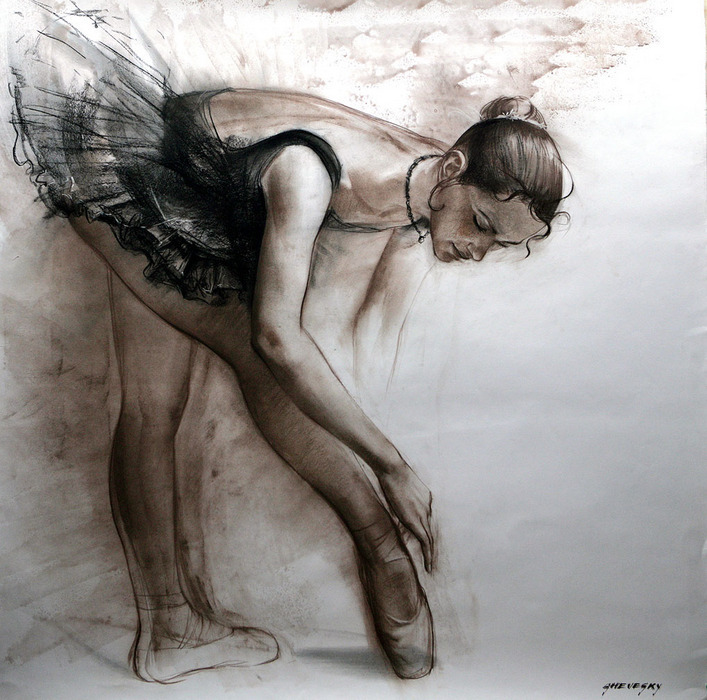 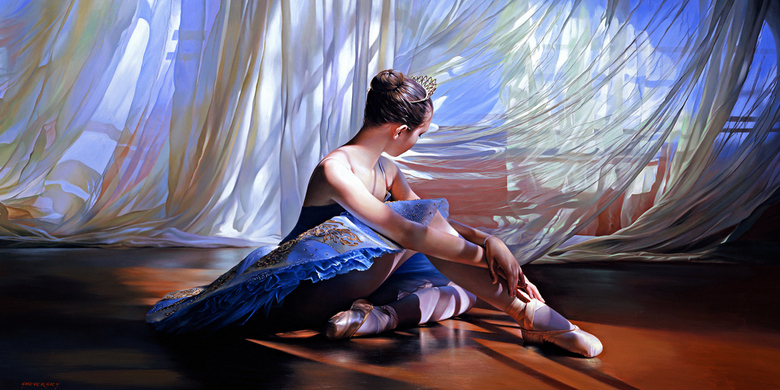 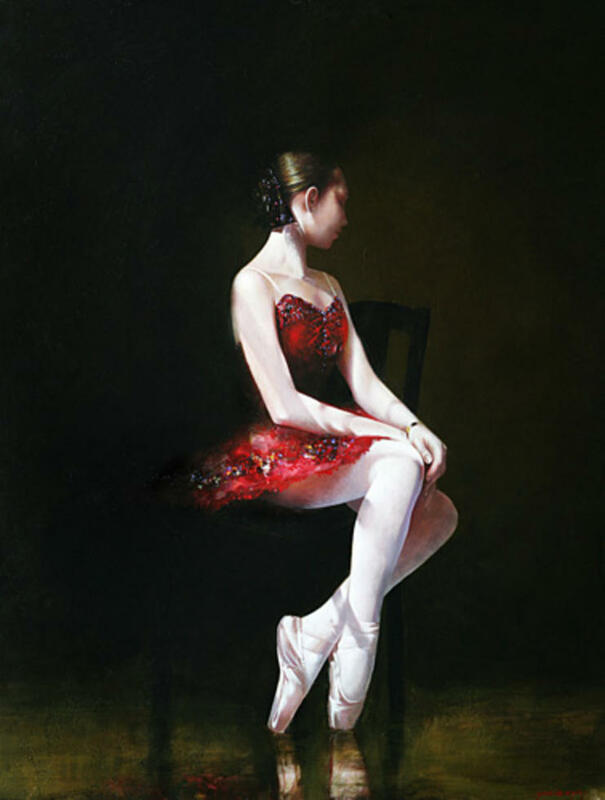 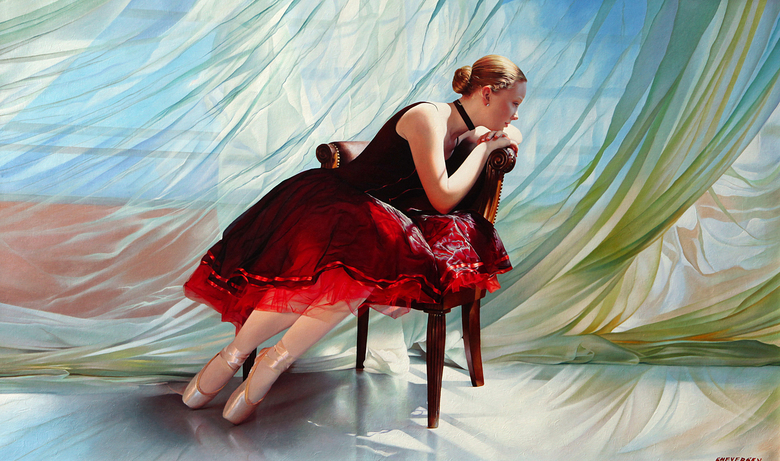 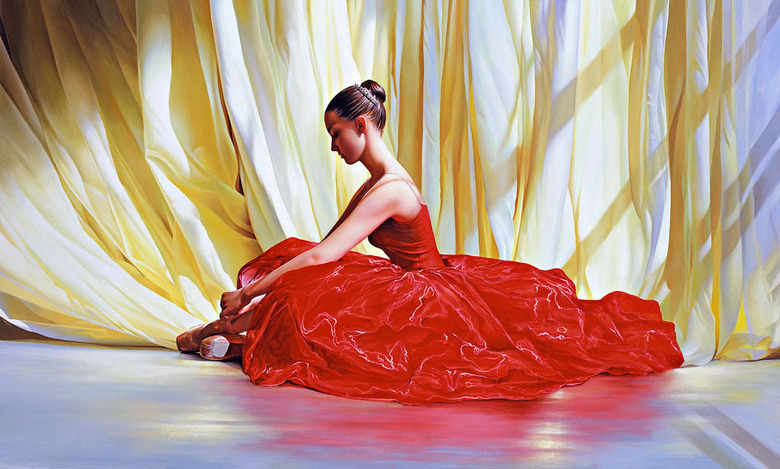 Striking a harmonic balance between classical composition and modern disposition an original oil painting by Sheversky speaks to an appreciation for the vocation to contemporary realism. 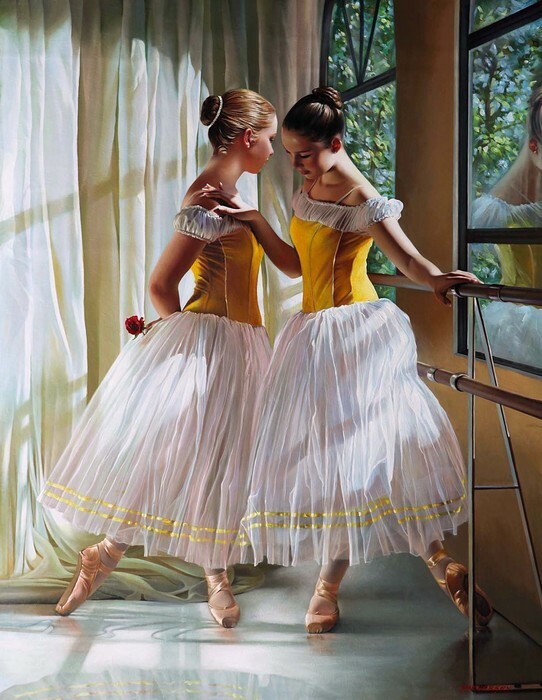 Each canvas is stately and monumental, extolling the virtues of discipline and emotion styled by the foremost of his teachers - Rembrandt and Vermeer. 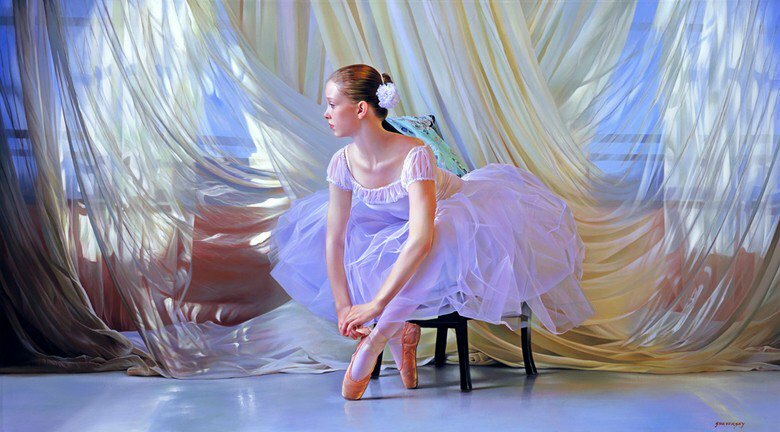 The interplay of light and shadow and especially Sheversky’s inherent understanding of light bring a life to the painting that resonates and lives before the viewer. 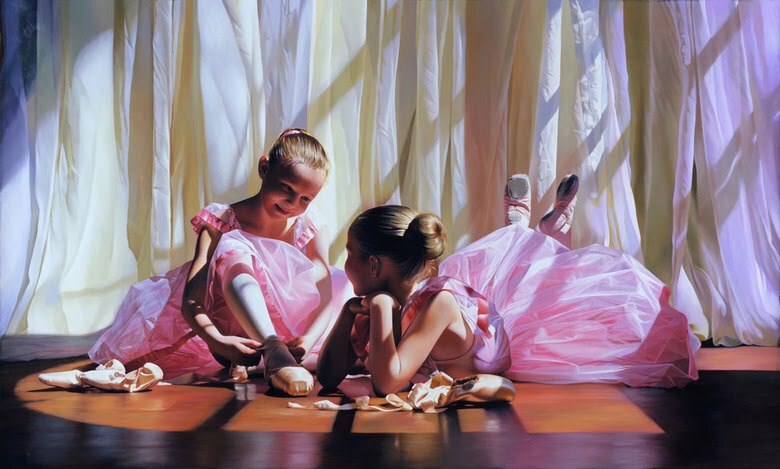 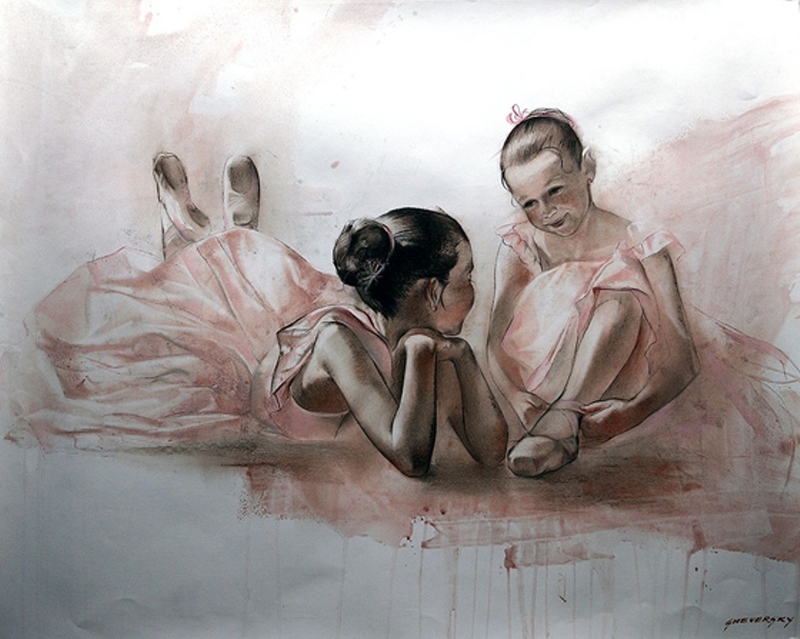 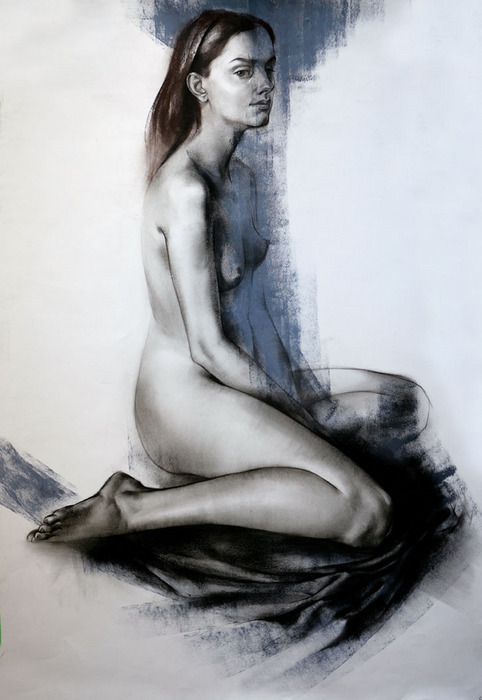 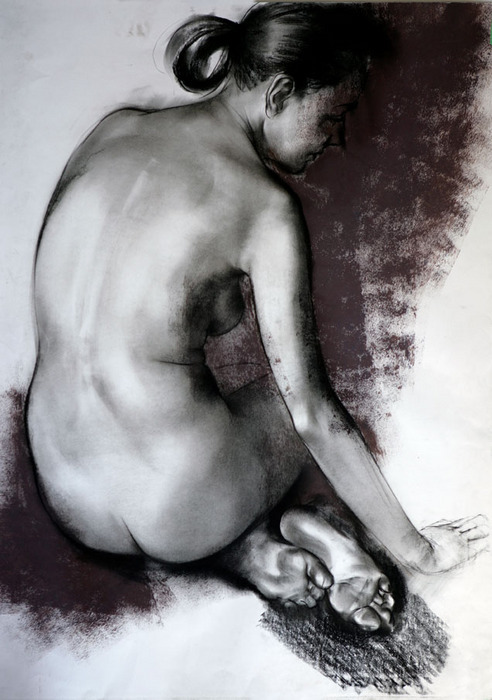 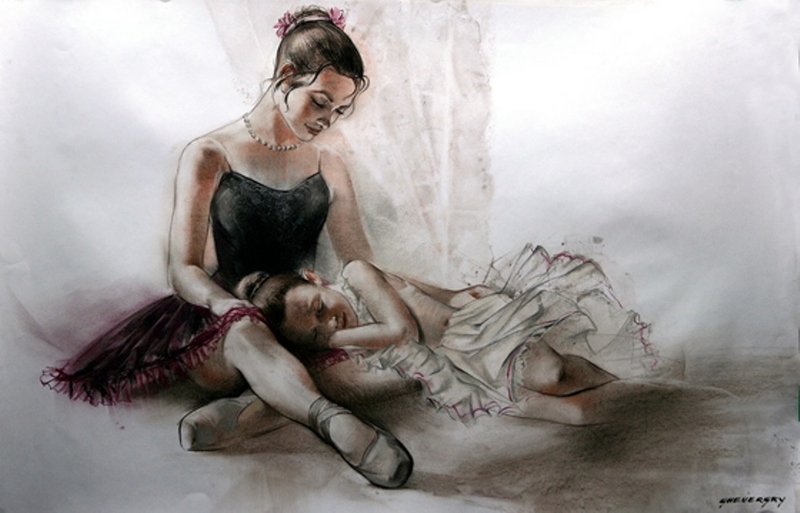 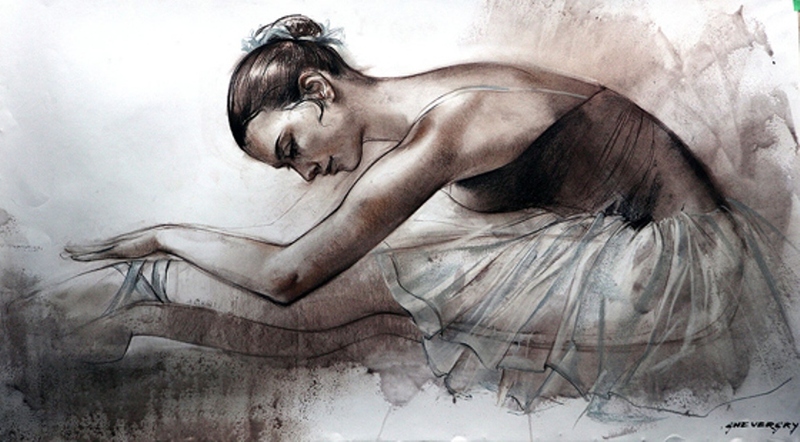 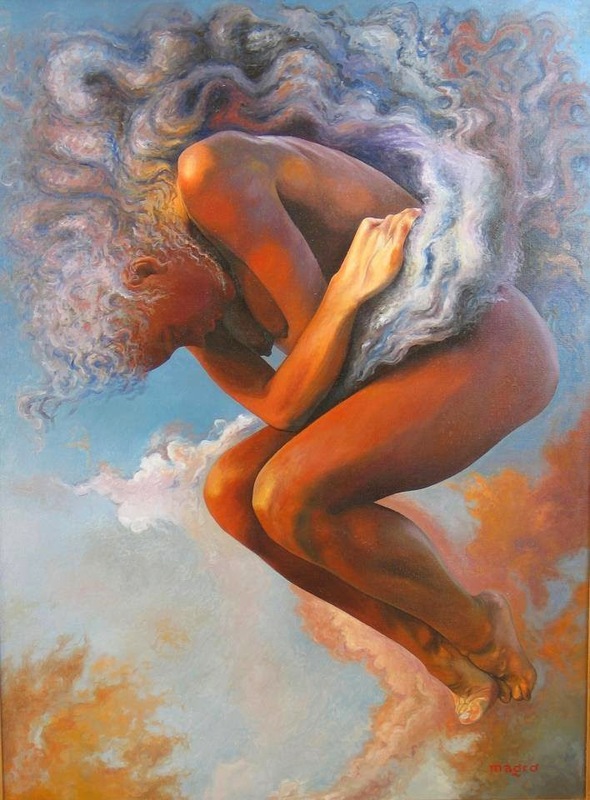 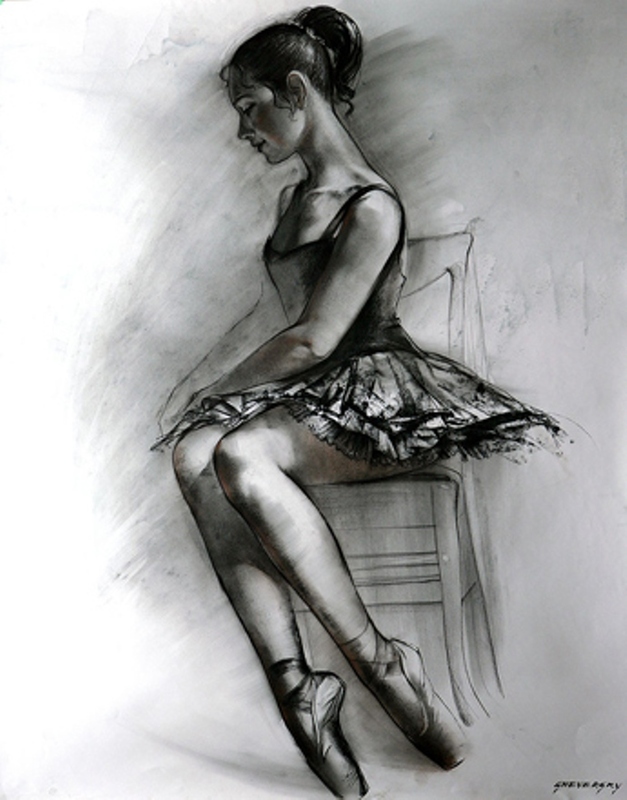 Whether it is a figurative study or a still life its own existence is captured by the emotive values of light itself that the artist exhibits, thus embodying the living, omnipresent nature of the subject. 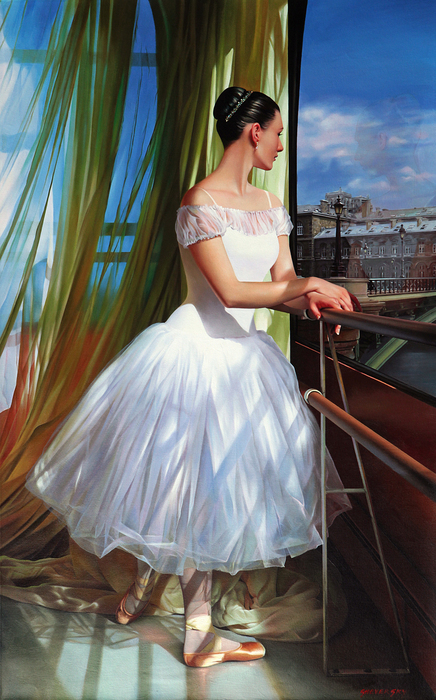 And so a Sheversky painting espouses a marriage of the meticulous detail of classical technique to that which is clean, modern, and conceptually crisp.